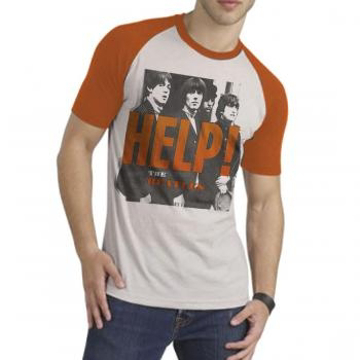 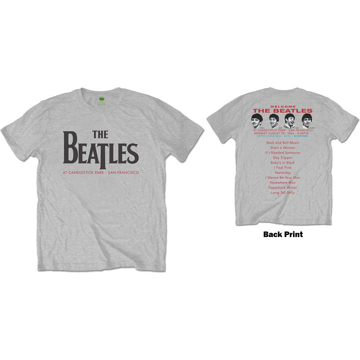 Beatles Adult T-Shirt: Beatles Adult T-Shirt: Beatles Song Lyric Edition "In My Life"
Beatles Adult T-Shirt: Beatles Album Cover "HELP"
2018 Classic Re-issue Beatles Album Cover "HELP!" 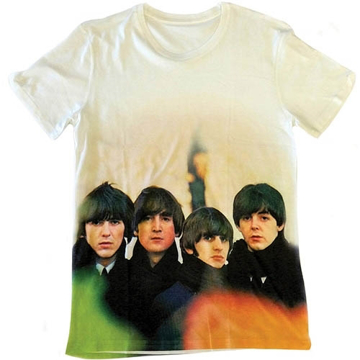 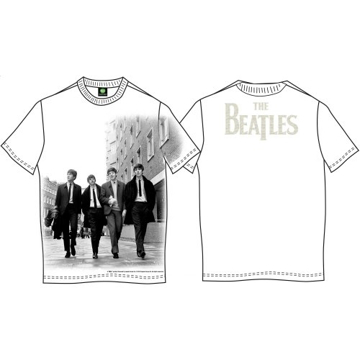 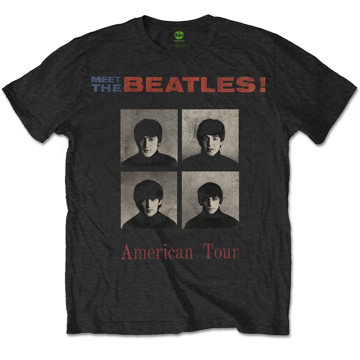 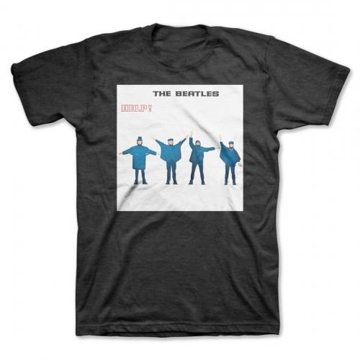 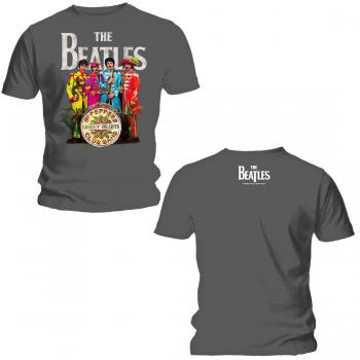 Beatles Adult T-Shirt: Beatles Album Cover "MAGICAL MYSTERY TOUR"
2018 Classic Re-issue Beatles Album Cover "MAGICAL MYSTERY TOUR"
Beatles Adult T-Shirt: Beatles Album Cover "Please Please Me"
2018 Classic Re-issue Beatles Album Cover "Please Please Me"
Beatles Adult T-Shirt: Beatles Album Cover "Rubber Soul"
2018 Classic Re-issue Beatles Album Cover "Rubber Soul"
Beatles Adult T-Shirt: Beatles Album Cover "The White Album"
2018 Classic Re-issue Beatles Album Cover "The White Album"
Black color classic tee The Beatles Candlestick Poster in off white. 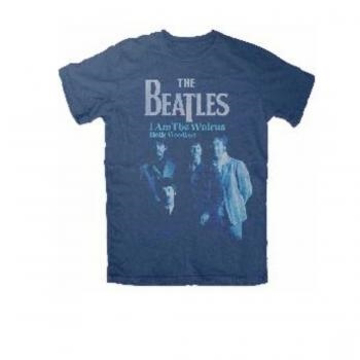 Beatles I am the Walrus Navy Tee. 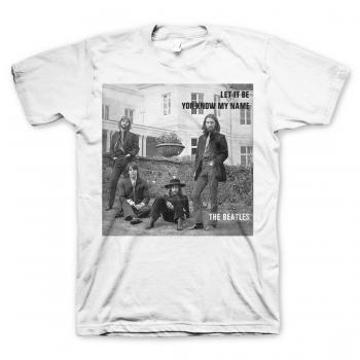 Iconic Photo in high quality Black and White Image on a white shirt. 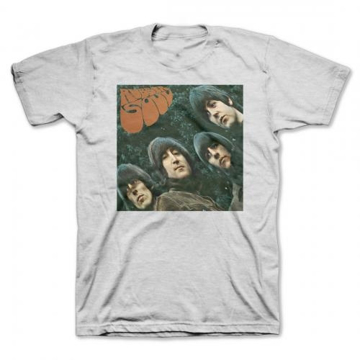 Beatles Last Stand - Grey Ringer T-Shirt the lads don't look to happy in this classic photo, at least Paul had a razor that day! 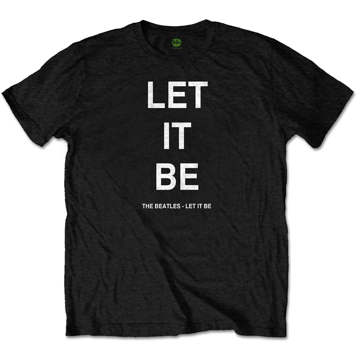 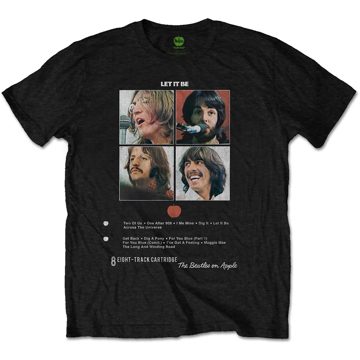 Beatles Adult T-Shirt: Beatles Let it Be U Know? 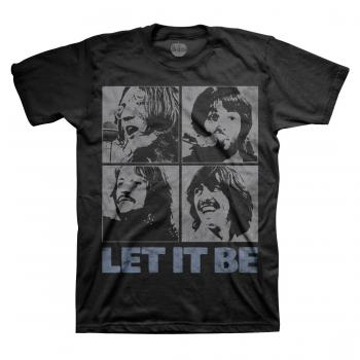 Beatles Let it Be / You know my name... Rare photo of the Beatles. 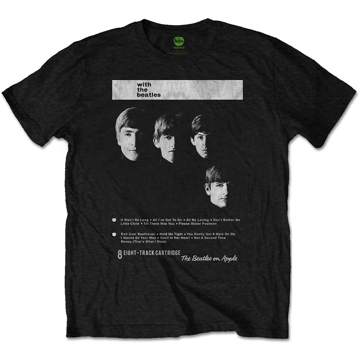 Beatles Number One Album cover in Black with track list. 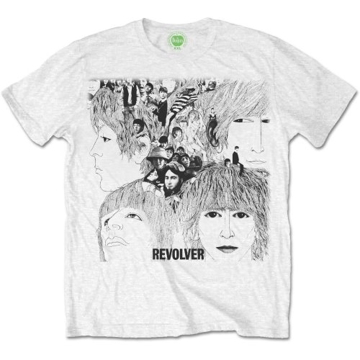 soft-style cotton. 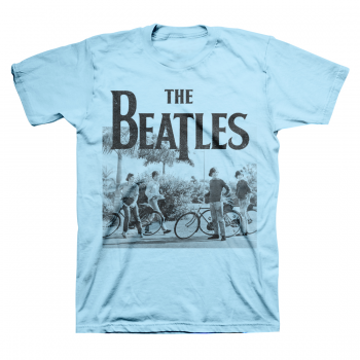 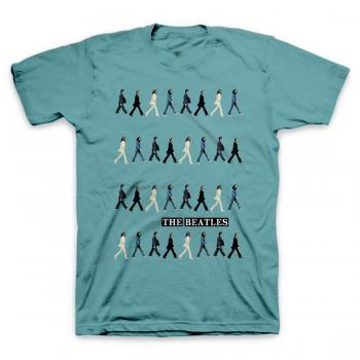 Beatles on Bicycles in this blue Tee with Drop T logo. 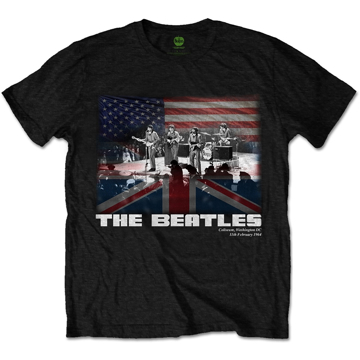 Beatles on Stage Early Era Red Beatles Logo jumps out at you! 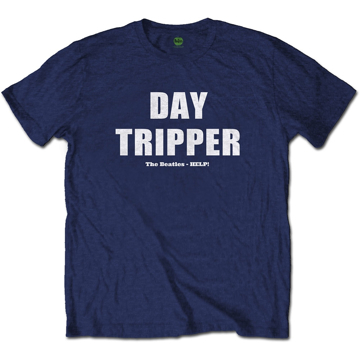 New style on sale for a week only. 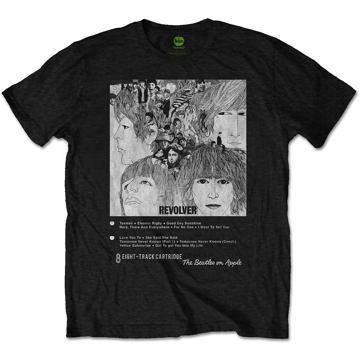 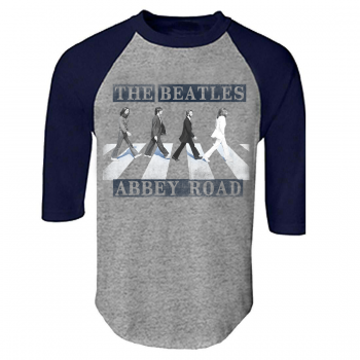 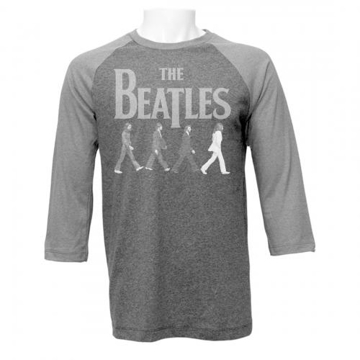 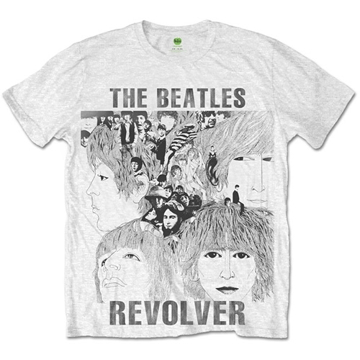 Beatles Revolver Short Sleeved Raglan with two tone styling on sleeve/body. 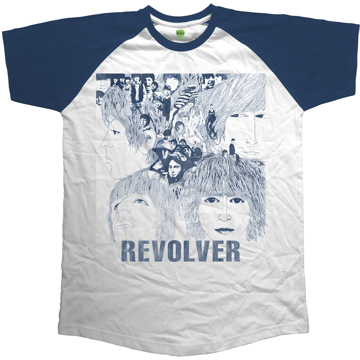 Navy/White Soft-style cotton Revolver cover is blue also. 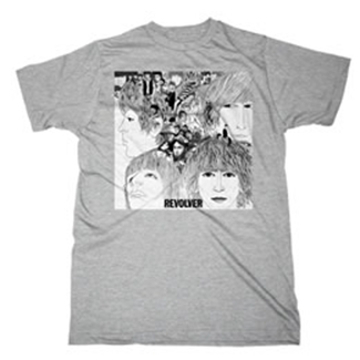 Beatles Revolver Short Sleeved Fantastic sublimation dye print makes this a unique 'One of a Kind' tee - no two tees are alike. 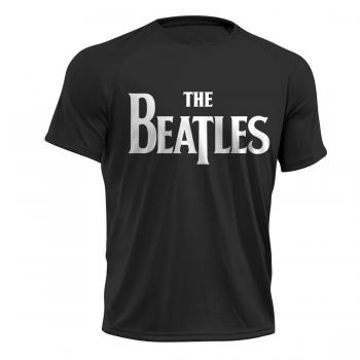 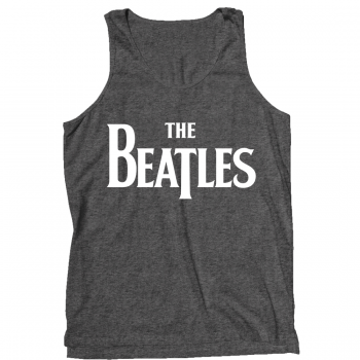 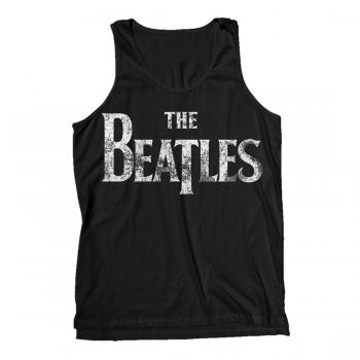 Beatles on Apple text with Iconic Photo in high quality Black and White Image on a black shirt. 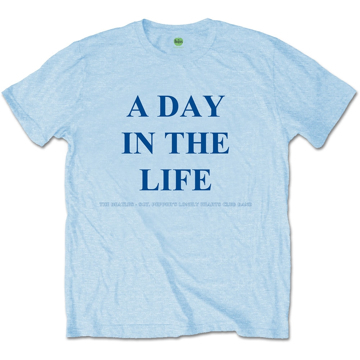 Beatles Adult T-Shirt: Beatles Song Lyric Edition "A Day in the Life"
Features the song title 'A Day in the Life' which was the final track on The Beatle's 8th studio album 'Sgt Pepper'. 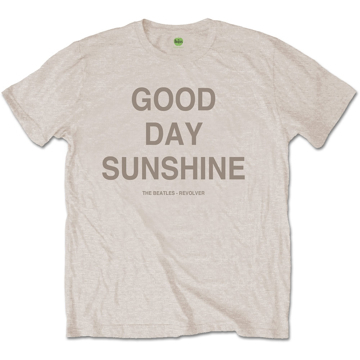 Beatles Adult T-Shirt: Beatles Song Lyric Edition "Day Tripper"
Beatles Adult T-Shirt: Beatles Song Lyric Edition "Good Day Sunshine"
Features the song title 'Good Day Sunshine', from The Beatle's 7th studio album 'Revolver'. 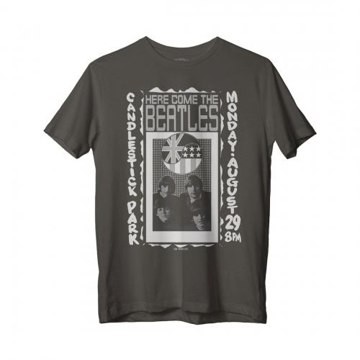 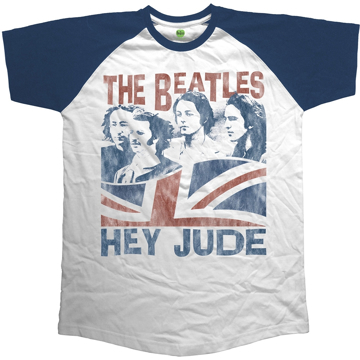 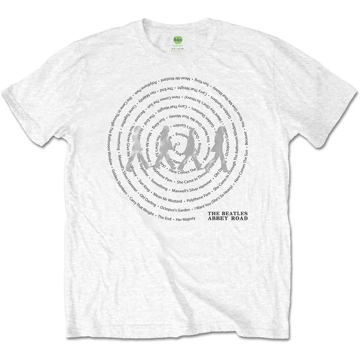 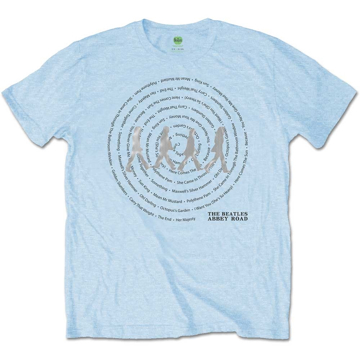 Beatles Adult T-Shirt: Beatles Song Lyric Edition "Hello - Goodbye"
Features the song title 'Hello Goodbye' from The Beatle's double album & film 'Magical Mystery Tour'. 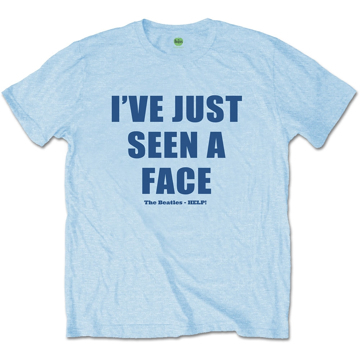 Beatles Adult T-Shirt: Beatles Song Lyric Edition "I've Just Seen A Face"
Beatles Adult T-Shirt: Beatles Song Lyric Edition "Let It Be"
Beatles Adult T-Shirt: Beatles Song Lyric Edition "While My Guitar Gently Weeps"
Beatles Adult T-Shirt: Beatles Song Lyric Edition "YNGMYM"
Features the song title 'You Never Give Me Your Money' from The Beatle's 11th studio album 'Abbey Road'. 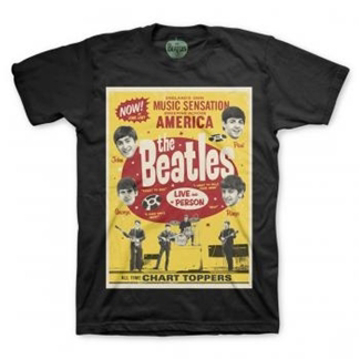 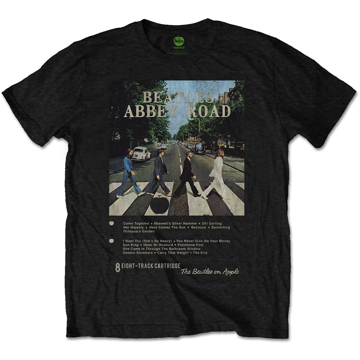 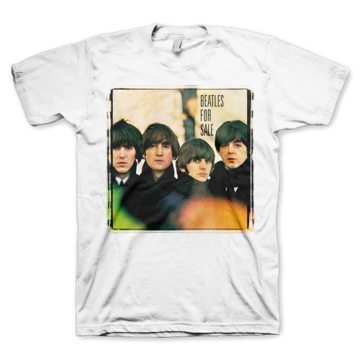 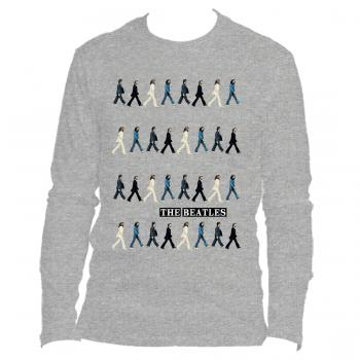 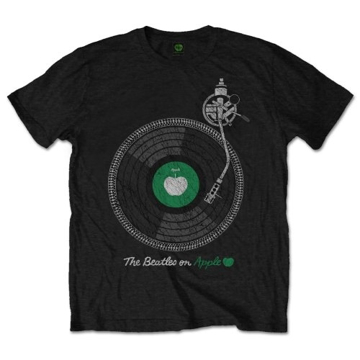 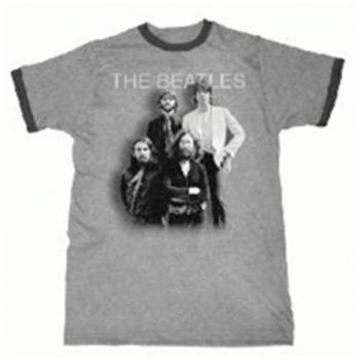 Black color classic style men's tee featuring The Beatles on Apple Turntable image , very cool. 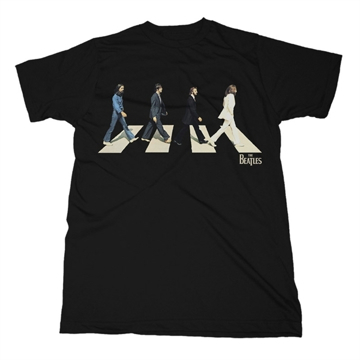 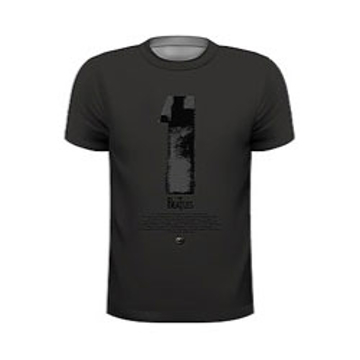 Beatles Drop T Logo & Apple Black Tee Fashioned from slub cotton and finished with cotton patch applique motif to chest & arm, which adds a pleasing texture to the garment. 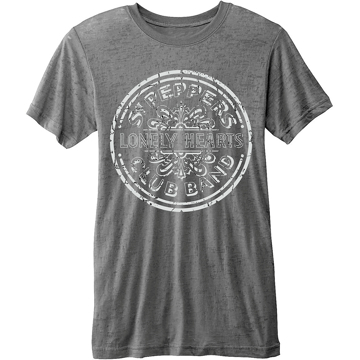 Drum Logo Caviar Beads Fashion fit tee with silkscreen print & black caviar beads logo application. 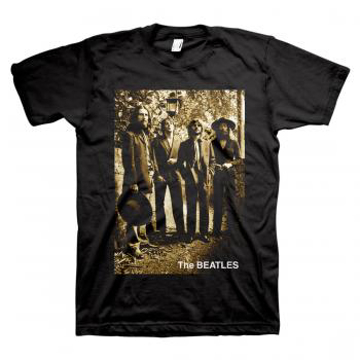 The Beatles Drum Skin logo comes alive in the new version black shirt hi res image is truly amazing. 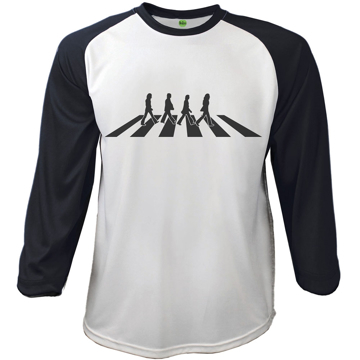 Also available in White and a limited edition 66 world tour version in B&W. 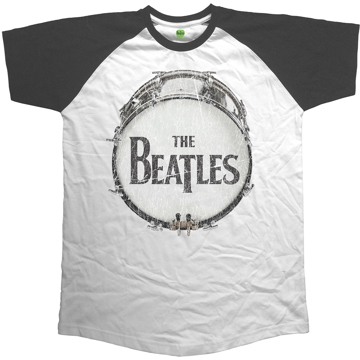 The Beatles Drum Skin logo comes alive in the new version White shirt hi res image is truly amazing. 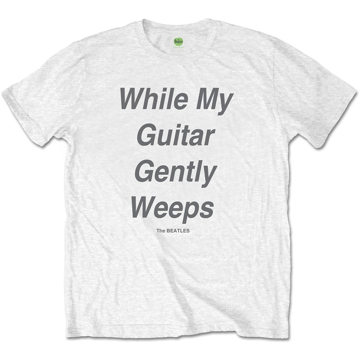 Also available in Black and a limited edition 66 world tour version in B&W. 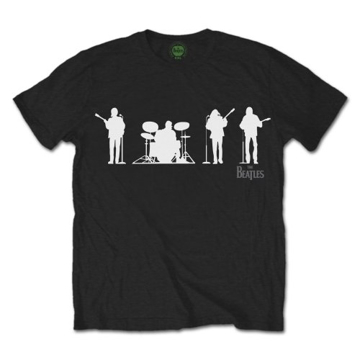 The Beatles Drum Skin logo (Road Version) comes alive in the new version black shirt hi res image is truly amazing. 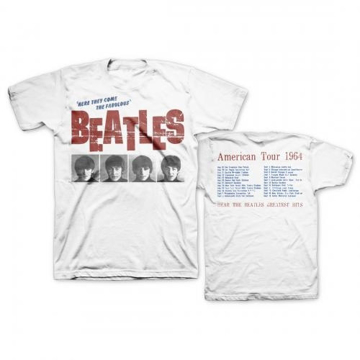 Limited edition 66 world tour version also available in White. The Beatles Drum Skin logo (Road Version) comes alive in the new version White shirt hi res image is truly amazing. 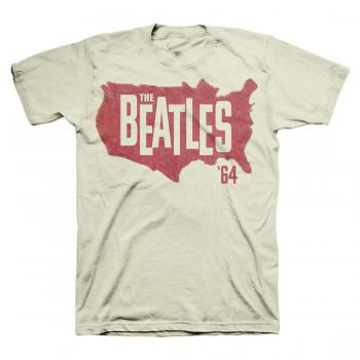 Limited edition 66 world tour version also available in Black. 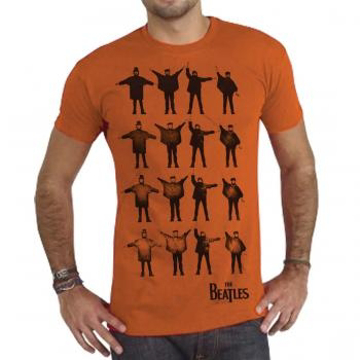 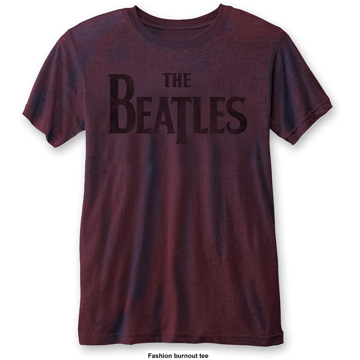 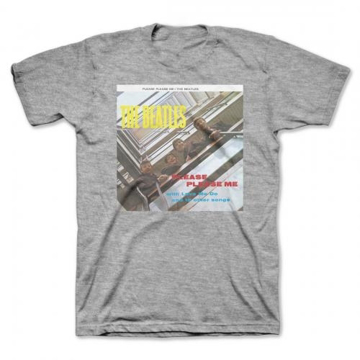 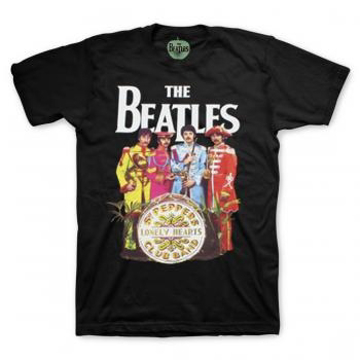 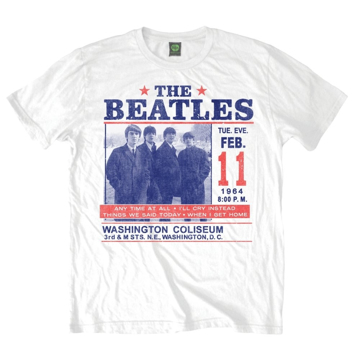 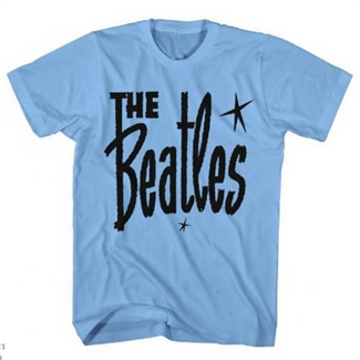 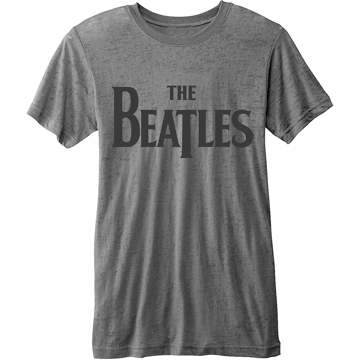 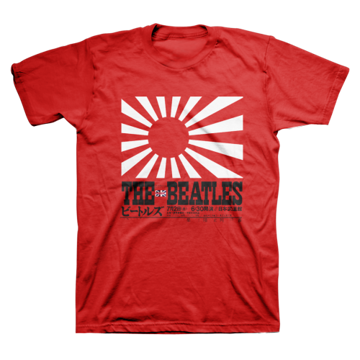 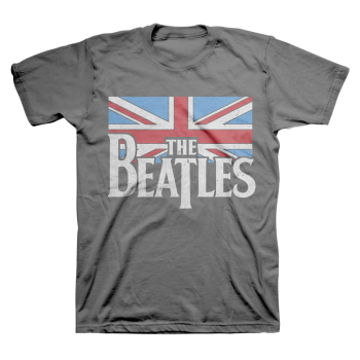 Men's Soft style cotton Tee featuring The Beatles '8 Days a Week Movie Poster' design motif. 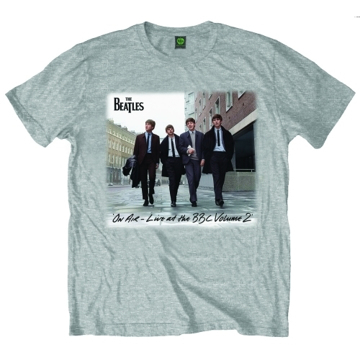 This high quality garment is available in a black colourway and comes in a wide range of sizes Other product are available in this design. 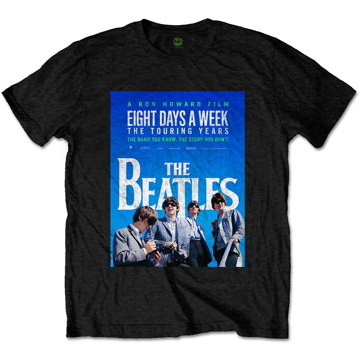 The Beatles: Eight Days a Week' The Touring Years is a documentary film, directed by Ron Howard, about The Beatles career during their touring years from 1962-1966.